Great dinner for a warm summer evening. Kids love this too! Cut flank steak into thin slices while still partly frozen, then thread onto skewers. 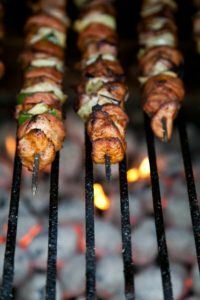 Pound out chicken breasts and cut into fingerlike slices, then thread onto skewers. 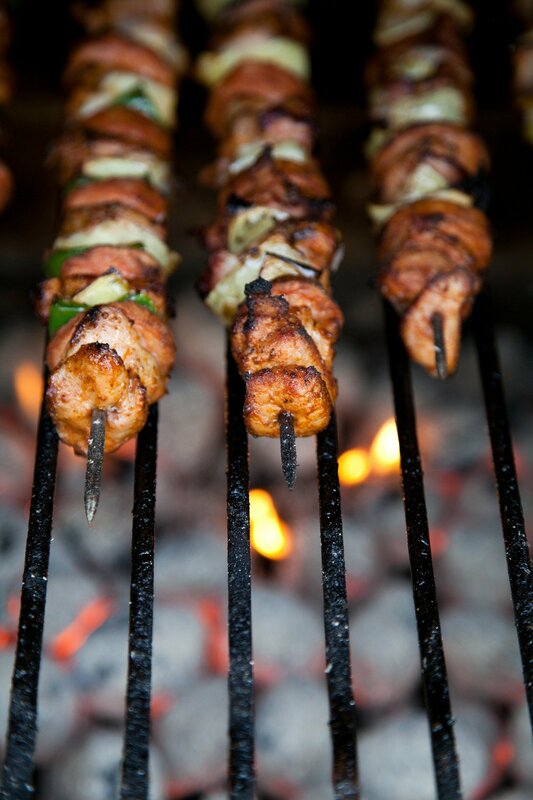 Make marinade: combine olive oil, sesame oil, honey, mustard, soy sauce, ginger, salt, and pepper. Marinate the steak and chicken for 30-60 minutes, then grill. Serve with Peanut Sauce or Cucumber Thai Sauce.